Cecilia Chen received her law degree from American University Washington College of Law in District of Columbia and undergraduate degree from Boston University in Boston Massachusetts. While at American University, Ms. Chen was an Associate Editor of the International Law Journal, and graduated at the top one third of her class Ms. Chen’s legal experience is diverse. Prior to starting her own firm, she worked at two corporate boutique firms in Virginia and San Diego in the following practice areas: complex Mergers & Acquisition transactions involving over $100 million dollar deal size; corporate financing transactions representing start-up companies to raise funding with venture capital firms and private equity investors; commercial lease drafting and negotiation representing large anchor tenants. Ms. Chen’s extensive experience as a corporate attorney has assisted her immensely in her practice serving clients in the healthcare industry, which include dentists, physicians, hospice care and assisted nursing facilities throughout California. In specific, Cecilia Chen provides counsel to clients in acquisition and sale transactions, partnership agreements, corporate formation, space sharing agreements, office leases, and estate planning. 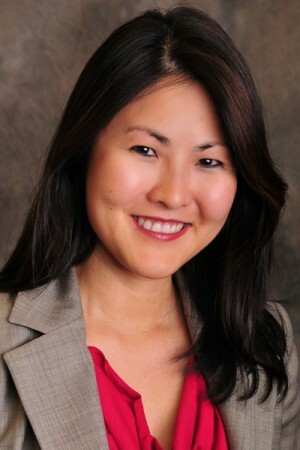 Ms. Chen is admitted to the bars of the States of Virginia and California, and is an active member of the San Diego County Bar Association and Lawyer’s Club. Cecilia resides in San Diego with her husband and their daughter, and enjoys traveling, cooking, volunteering, and spending time with her family when not working. I am writing with my highest recommendation for Cecilia Chen’s services, specifically for helping with a dental practice transition or purchase. In June 2017, I purchased my dental office from the previous owner for whom I had worked for 2 years prior. Cecilia was extremely knowledgeable about the entire office transition process and she helped me from the initial letter of intent, to the lease agreement, and finally to the purchase agreement. She was very responsive to all of my questions and concerns, and would even email me back around midnight some nights. Cecilia is not afraid to stand up for her clients, especially with the tricky negotiations that come with buying a dental practice. She had my best interests in mind the entire time and did not back down until a fair agreement was reached. Her foresight in the negotiations with the letter of intent helped avoid complications down the road when the lease agreement was being negotiated. Cecilia also took the time to explain the final documents page by page, and interpreted the legal jargon so that I fully understood the agreements before signing. I have been extremely pleased with Cecilia’s services, and I have already recommended her to several colleagues who are going through the same process. If you are looking for a lawyer who is knowledgeable, works efficiently, and has your best interests in mind, then I absolutely recommend Cecilia Chen to be your lawyer! Cecilia helped me through a very complicated dental practice purchase. I can tell you with 100% certainty that without her guidance I would have gotten myself in a bad situation. Fortunately for me she was on my corner and everything worked out. Highly recommend her if you want someone that will not let the other party take advantage of you. Ms. Cecilia Chen represented me in my dental practice transaction with utmost professionalism and efficiency throughout the complex process. What I really appreciate of her is her willingness to go extra miles in making most amicable resolution with patience and persuasiveness even in a difficult situation. Ms. Chen has been diligent in every step of the purchase agreement process and lease termination arrangement till the closing of the escrow. I have no doubt that she will be an excellent Attorney to represent other dentist colleagues in their practice transition. © 2017 Cecilia Chen. All rights reserved.